South Australia sits in the centre of Australia, with the Southern Ocean to the south, flanked on the other sides by land. Its landmarks include the Great Australian Bight, which provides spectacular whale-watching opportunities every year; the magnificent Flinders Ranges; the natural wonder of Kangaroo Island; the world’s largest cattle station, and the world-famous wine regions of the Barossa and Clare Valley. To discover South Australia using a campervan, visit maui campervan hire Adelaide. Alternatively, for your car rental in South Australia, visit maui car hire. 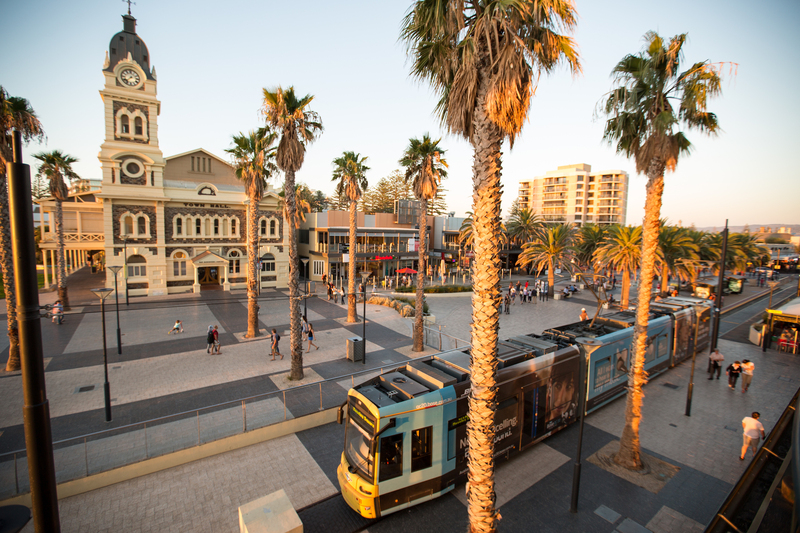 As your travel around South Australia, you can utilise the helpful service and information provided by the local Visitor Information Centre. Visit www.southaustralia.com for a comprehensive guide to South Australia Visitor Information Centres. 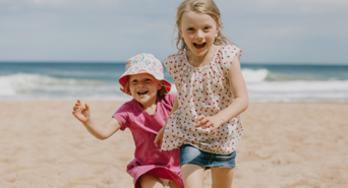 Around the coast, South Australians enjoy a temperate climate that encourages outdoor living and a relaxed atmosphere. But in the north, temperatures can get hot, particularly in the summer months. Adelaide's summer average is 28.3 Celsius, with a winter average of 15.9 Celsius. South Australia's population is characterised by a great diversity of cultures. Approximately one in five South Australians was born overseas, with about half of this group born in English-speaking countries, and the other half in countries where English is not the dominant language. South Australia is famous for: Kangaroo Island for its unspoilt nature; Coober Pedy for its underground homes; enthralling events like international cycling race the Tour Down Under; the Clipsal 500 V8 championship; the Great Australian Outback Cattle Drive; and Australia's largest arts festival - the Adelaide Fringe. We're known for our world-class Barossa wine region and for being the home of the remarkable Penfold's Grange (the 1990 vintage was dubbed 'the best red wine in the world' by Wine Spectator magazine). By air, you can reach South Australia on international airlines including Qantas, Singapore Airlines, Air New Zealand, Malaysia Airlines, Cathay Pacific and Garuda Airlines; there are also several national airline operators servicing the state. By rail, the Ghan runs between Adelaide and Darwin via Alice Springs, while the Indian Pacific spans the continent between Sydney and Perth via Adelaide. The Overland runs between Melbourne and Adelaide – all are owned by Great Southern Rail. Adelaide's interstate rail terminal is located at Keswick, a few kilometres from the city centre. A number of coach companies have connections to and within South Australia. Its central position makes SA a great destination for a short(ish) drive from the eastern states, or part of a longer tour across the nation. Sir Hans Heysen made his home in the Adelaide Hills – his studio is still open to visitors. US singer-songwriter Ben Folds also married a local and made Adelaide his part-time home. South Australia has also produced astronaut Andy Thomas and Wimbledon champion Lleyton Hewitt. South Australia is the home of the Australian wine industry, producing 50 per cent of Australian’s wine. There are 13 wine regions and over 270 cellar doors - the majority of them no more than a 90 minute drive from Adelaide. 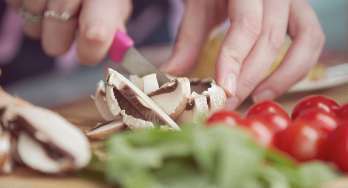 And thanks to a warm, Mediterranean climate, the amount of produce grown in South Australia reads like a gourmet shopping list. 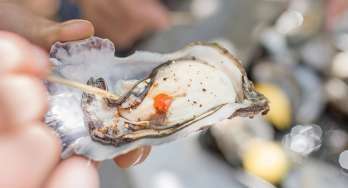 From grapes, olives, strawberries, almonds and cheese to tuna, lobster, oysters, prawns, abalone and venison there is little surprise that the new style of Australian cuisine began in South Australia. The Adelaide Hills, Barossa, Clare Valley, Fleurieu Peninsula (McLaren Vale and Langhorne Creek) and Limestone Coast (Coonawarra) wine regions offer the complete food and wine experience - cellar door outlets, heritage bed and breakfast accommodation, and fine restaurants showcasing the region’s best produce. Each region produces specific varieties of wine, depending on its terrain and climate. The best place for the urban wine adventurer to start is the National Wine Centre of Australia, located in the heart of Adelaide. 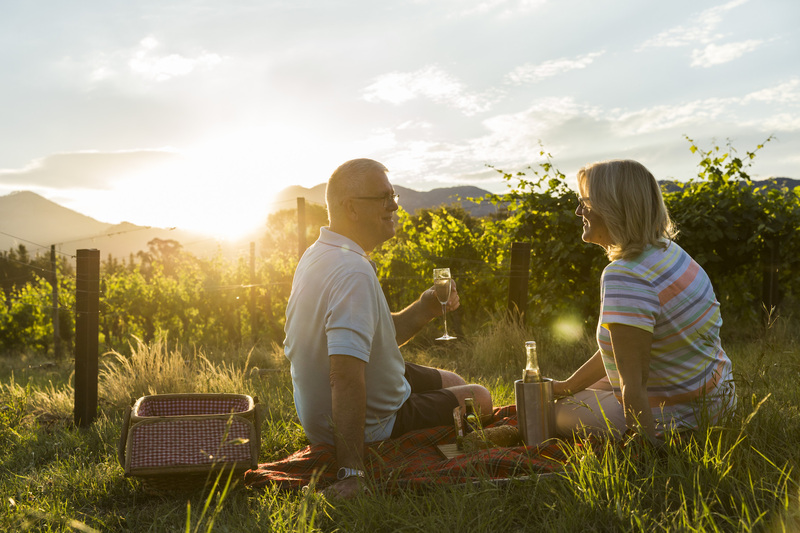 The centre offers a range of wine tastings from all over Australia, information and advice for those about to embark upon a tour of any of South Australia's wine regions. An absolute must when visiting Adelaide is a tour of the historic Magill Estate, the birthplace of the legendary Penfolds Wines. Immaculately restored to its original glory, the grounds and old underground cellars are highlights of the winery's fascinating tours. And just 35 kilometres north of the city is the prime horticultural region of the Adelaide Plains, settled decades ago by Mediterranean and Asian immigrants who continue to cultivate the land following long-held traditions. It's a landscape occupied by rows of vines, greenhouses, commercially grown flowers, herbs and vegetables: and 95 per cent of the bounty is sold through the Adelaide Central Market. The most common grape varieties grown on the Adelaide Plains are Shiraz, Colombard (reportedly the best in Australia), Chardonnay, Sauvignon Blanc, Riesling, Cabernet Sauvignon and Semillon. Italian red varieties include Barbera (found in Chianti), Sangiovese and Nebbiolo. The Adelaide Hills is not only one of South Australia's best wine treasures, but one of Australia's. More than 60 wineries in the Adelaide Hills are continuing a tradition that started back in 1845, when a hock from Echunga became Australia's first wine export (it was sent to Queen Victoria but no-one's sure if she was brave enough to taste it). 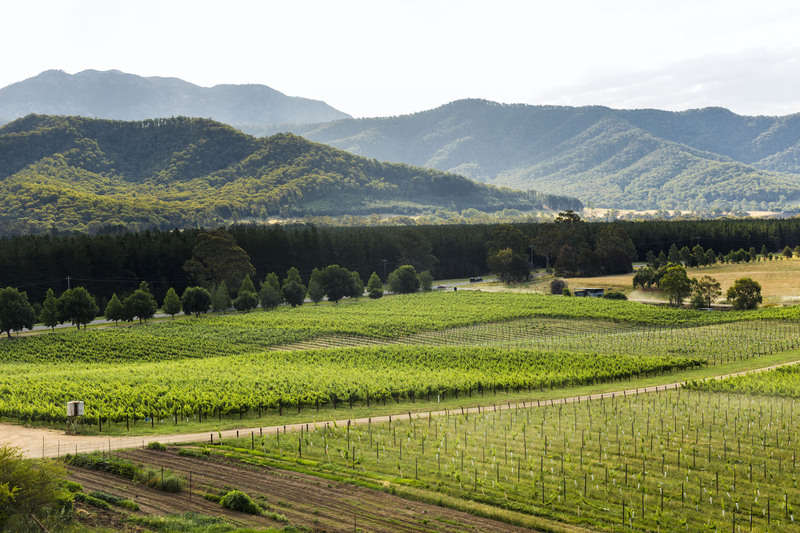 Today, some of Australia's most elegant cool climate sparkling and still wines are produced here, from grape varieties including: Chardonnay and Pinot Noir for sparkling and table wines in the coolest areas; Riesling, Semillon, Sauvignon Blanc and Merlot in the slightly warmer areas; and Cabernet Sauvignon, Cabernet Franc and Shiraz in the lower altitudes. Twenty-five cellar doors offer wine tastings and sales, including premier labels: Hahndorf Hill Winery, Longview Vineyard, Chain of Ponds, Shaw & Smith and Petaluma's. The Barossa, just an hour's drive from Adelaide is known throughout the world as one of Australia's leading wine regions, boasting more than 60 wineries, ranging from quaint boutique cellar doors, to large international companies. Established in 1842 by immigrants from England, Germany and Silesia (now part of Poland), the region's rich heritage is reflected in architecture, food and music - and internationally renowned wines. Around 500 grape growing families, many sixth generation, today continue to supply nearly 60,000 tonnes of grapes to about 50 winemakers - including household names like Seppelt, Penfolds and Lehmann. For a truly classic Barossa wine experience, head to Peter Lehmann wines with its platters of produce on the banks of the Para River, and Yalumba with its sweeping lawns and impressive stone winery and clock tower. Head to the Rockford Wines for rustic charms and relaxed informality of Charles Melton, where you can see exactly how the wine is made and meet the people involved. Make sure you visit Jacob's Creek Visitor Centre - a perfect example of how the Barossa balances the old with the new. There's a thoroughly modern tasting room, restaurant and gallery designed with the latest environmentally sustainable technology, built on the banks of the historic Jacob's Creek. Don't miss Wolf Blass's sleek A-grade super winery and stunning visitor centre. The new tasting complex can offer wine lovers a wine appreciation experience at every level. On a much smaller and perhaps more traditional scale, classic and contemporary are being combined at many other cellar doors - Two Hands, Murray Street Vineyards and Kabminye Wines, are three well worth seeking out. They offer local produce as well as seriously good wines, all with a personal touch and smart design. The main red varieties grown in the Barossa are Shiraz, Cabernet Sauvignon and Grenache, while the key white grape varieties are Riesling, Semillon and Chardonnay. Shiraz has pride of place because this is the birthplace of one of the world's great wines - Penfolds Grange. The Clare Valley is considered one of the most picturesque wine regions in South Australia, and with ample vineyards and cosy cellar doors, it's easy to see why. Less than two hours from Adelaide, the region boasts more than 40 cellar doors, most within 20 kilometres of the main town of Clare. Several are accessible from the Riesling Trail, a 25km walking and cycling track linking Clare and Auburn. The old railway line winds through some of South Australia's most stunning wine country and natural bushland. While the Clare Valley is known globally for its Rieslings, the quality of both the red and white grapes now grown in the region is a tribute to the age-old winemaking traditions adopted and perfected in this small pocket of temperate mid-north South Australia. In addition to the Riesling other varieties grown in the Clare Valley include Shiraz, Cabernet Sauvignon, Semillion and Chardonnay. Smaller plantings include Grenache, Malbec and Sangiovese. Visit Quelltaler Estate, home to the award winning Annie’s Lane range of wines, comprising of Chardonnay, Riesling, Semillon, Cabernet Merlot and Shiraz. Located at the southern entrance to the Clare Valley, the winery has a wine museum and extensive picnic areas to explore. Many of South Australia’s walking trails are in national parks and regional areas, passing vineyards, historic towns and spectacular landscapes, with plenty of short walks and relaxing one-hour strolls. Bundaleer Forest Scenic Walk, Jamestown – a comforstable 90 minute walk, starting at Bundaleer Picnic area and visits an old dry stone wall. Stunning views of the forest and surrounding valley. Riesling Trail - Clare to Penwortham is one of South Australia's 'Great Short Walks'. The trail has a gentle gradient , is off road and is a shared pathway in a landscape of rolling hillsides, vineyards, wild flowers in spring and wild olive trees. Allow around 2 hours. Coast to Vines Rail Trail, Southern Adelaide Suburbs - A scenic trail experience that encompasses coastal cliffs, historical townships and vineyard vistas. The trail is fully open between Reynella and Willunga with sections open between Hallett Cove and Reynella. First Falls Valley Walk, Morialta Conservation Park - this 'Great Short Walks' trail, which travels into the heart of Morialta Gorge. Hale Bush Walk, Hale Conservation Park - taking around 2 hours, this is a 'Great South Australian Short Walk' and is best done in spring when there are abundant wildflowers and flowing water in Kangaroo Gully. This walk has views to Williamstown, South Para Reservoir, northern Adelaide Plains and Mount Lofty. Barossa Bushgardens , Coulthard Reserve, Penrice Rd Nuriootpa - an easy walk for all fitness types, idyllically situated on North Para River, through Barossa's very own regional botanic garden, showcasing local Barossa plants. Plants are signed for easy identification. Adelaide Shores Golf Park, Adelaide - these public courses are part of Adelaide Shores - 135 hectares of metropolitan beachfront set aside for accommodation and sporting pursuits. The Patawalonga course is a championship-style links course with lush flat fairways, mature trees and water hazards. The Executive 60 course is an American executive-style short course of 12 Par 3s and six Par 4s. Adelaide Golf Links - wrapping around the west and south of beautiful North Adelaide, these two fully watered courses cater for all levels of golfers. Majestic trees and wonderful views of the city and Adelaide Hills make this one of the most envied public courses in Australia. The par 3 course (18 holes) is ideal for the family, casual or social groups and is a good introduction to golf. Located on Strangways Terrace, North Adelaide. Par 3 on War Memorial Drive. Belair National Park Golf Course, Adelaide - set in South Australia's oldest national park, this fully irrigated 18 hole golf course offers interest and challenges to golfers of all levels. The park is an important habitat for native animals, and it's common to see kangaroos on the course. Blackwood Golf Club, Adelaide - this championship 18 hole layout is set in 40 hectares of wildlife sanctuary and offers excellent playing conditions in all seasons. The couched fairways are set among many magnificent native trees, with water coming into play on six holes. Tanunda Pines Golf Club, Barossa - a beautiful Australian bushland golf course of excellent character, Tanunda Pines Golf Club boasts fairways lined with spectacular ancient gum trees and an abundance of bird life. The undulating championship golf course is next to the Novotel Barossa Valley Resort on the hilltops overlooking vineyards. This undulating 18-hole par 72 championship hilltop course overlooks Jacob's Creek vineyards on several holes. The excellent clubhouse offers visitors a full range of services and facilities including: a golf shop with high quality hire equipment and a full range of the latest golf equipment and apparel; a practice fairway with target greens and pitching and putting greens pluse a bar/cafe and function area. Golf lessons and clinics are available from the resident PGA golf professionals. The 70 year old course has been rejuvenated and has perfected the art of combining great golf and great wine, and welcomes visitors 7 days a week. Barossa Valley Golf Club, Barossa - a tranquil setting with abundant bird life and a relaxed atmosphere, this gem of a course boasts exquisite greens amid natural scrubland and tree-lined fairways, in a region famous for fine wine and dining. Gawler Golf Club, Barossa - the Gawler Golf Club is at the gateway to the Barossa Valley, with 18 holes set against a stunning backdrop. The course includes several water features as well as manicured fairways and greens, and presents a fine golfing experience for visitors and members alike. Find it on Williamstown Road, Sandy Creek. Burra Golf Club, Clare Valley - the Burra Golf Course is on the northern edge of this famous heritage town and has flat irrigated fairways and greens lined with river gums and eucalypts. 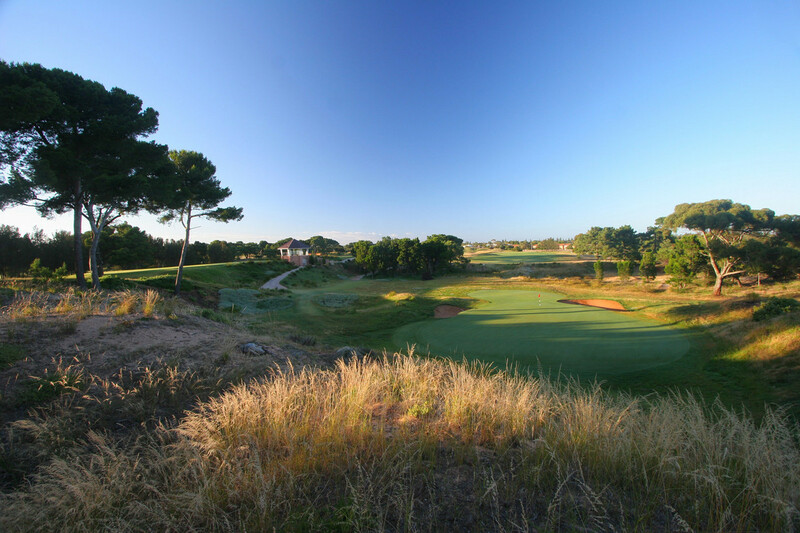 Clare Golf Club, Clare Valley - the course is host to native bird and animals, and features panoramic views, particularly from the seventh hole (par 3) where the tee is 38 metres above the green. There are hills, fully watered fairways, water hazards, tree-lined fairways, elevated green tees and greens. Accommodation overlooking the course is available at the Clare Country Club. Louth Bay Golf Club, Eyre Peninsula - sitting 25 kilometres north of Port Lincoln right on the coast and open to public players all year. This is a nine hole sand green course. There are also four tennis courts for hire. Kimba Golf Course, Eyre Peninsula - Kimba's 19 hole golf course is nestled on the slopes of Whites Knob, an ironstone conglomerate which offers 360 degree views of the township and district. The fairways are lines with native trees, with sand greens. A challenge to newcomers is the 14th tee overlooking the town, 'cardiac hill', and 'devils elbow' just to name a few. Finish at the 19th with a nice cold drink and a chat. Streaky Bay Golf Course is a nine hole watered fairway and runs parallel to the coastline just south of the Streaky Bay town centre. It is open to visitors seven days a week except when the Club has major events scheduled. An honesty box is in place for green fees of $10 which are applicable. Ladies competition is held on Wednesdays and the Championship competition is held in September annually.